Soils are one of the most valuable sources of ecosystem services – the soil cleans water so it can be reused, holds and stores water so it is there when we need it, transforms toxic substances like pesticides and other poisons. It cycles, stores, and releases nutrients for plant growth. All these amazing activities are accomplished in soil through the agency of microorganisms and larger creatures that live in the soil, interacting with soil particles and plant roots in the rhizosphere – the narrow zone near plant roots. 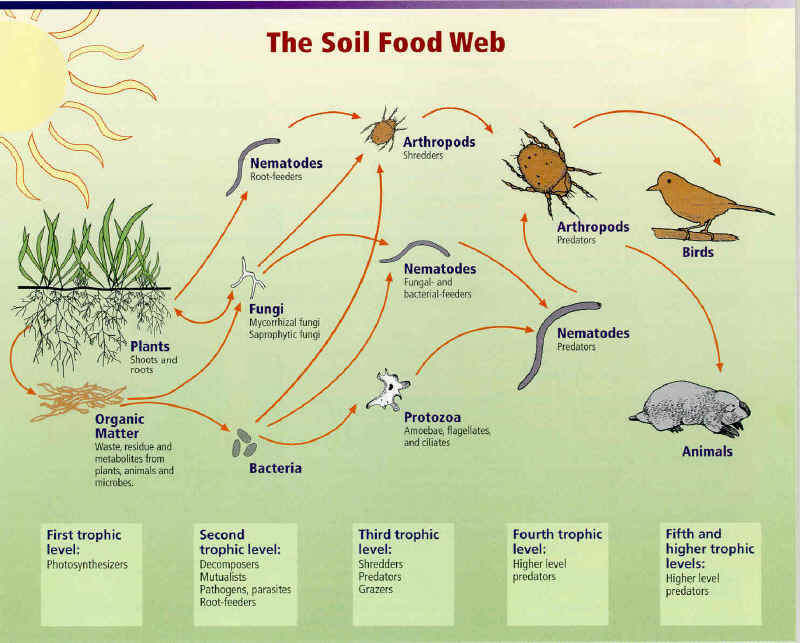 The important idea behind this diagram, is that all of these organisms are important because they are links in a web of interactions, the result or “product” of which is our continued ability to supply ourselves with what we need to live on the planet: healthy soils produce good crops and store an enormous amount of carbon. When we understand this, it becomes clear why we need to protect and feed these organisms with organic matter and mulch. 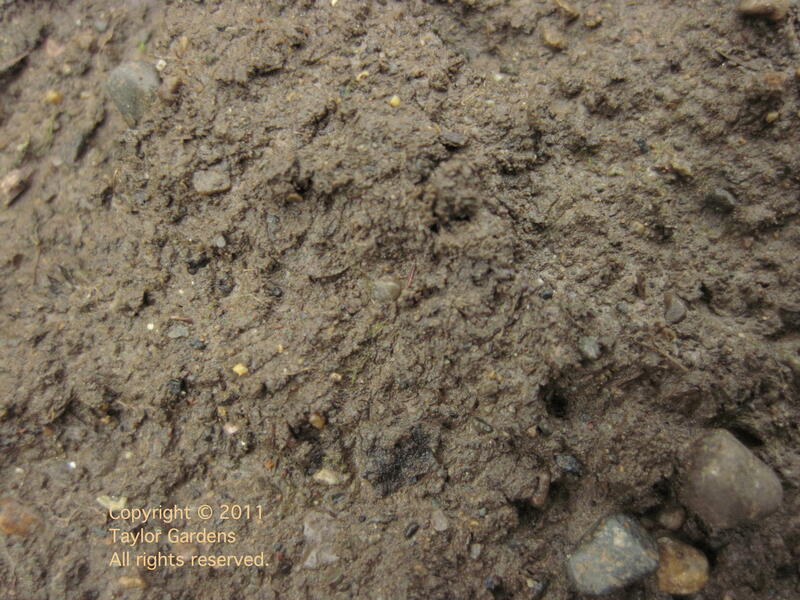 In fact, if there is only one concept you need to learn to know what to do with your soil, it would be to add organic matter – unless you live in a floodplain with lots of silt, it is unlikely you will ever have too much, and if you concentrate on adding it to the soil and keeping the soil surface covered to protect it and the organisms that process it, your garden will thrive. You will be feeding and protecting the life in the soil that does the essential “work” for you. Organic matter is consumed and changed, and eventually the nutrients (in leaves or compost), are released in a form that plants can use. Organic matter is stored in the soil – sometimes for decades or longer! It affects drainage, pH, texture, and many other things that people often think they need to “adjust” with chemicals or fertilizer (organic or not). Cover crops, are a valuable tool for gardeners to protect soil health. With cover crops you can produce your own organic matter. Instead of hauling in compost, you use your cover crop to hold and soften the soil, cover the surface, and give beneficial insects shelter and food – both above and below ground, while adding nutrients. A spring-sown cover crop will help with weed suppression, and sowing one in late summer or fall will protect the soil when the rains begin. Mulch is a good way to protect the soil too. A layer of leaves scattered about will act like little rooftops to cover the surface. In the photo below you can see where leaves (removed to show soil surface) have sheltered some worms and other insects whose front doors open right onto the soil surface. The surface is rough and textured to catch seeds and organic matter for soil organisms. In contrast the unprotected soil surface in the next photo affords no protection. Runoff and compaction from the impact of raindrops damages and seals off the soil surface. Why is that important? Thinking of soil as the skin that protects the earth, lets us imagine how it can be damaged and breached to the detriment of life. Flood events, landslides, and sediment loaded with topsoil are signs that we are not attending to the health of what sustains us: the soil and its interactions with organisms that hold it in place. Soil even has pores (macro-, micro- and biopores)! 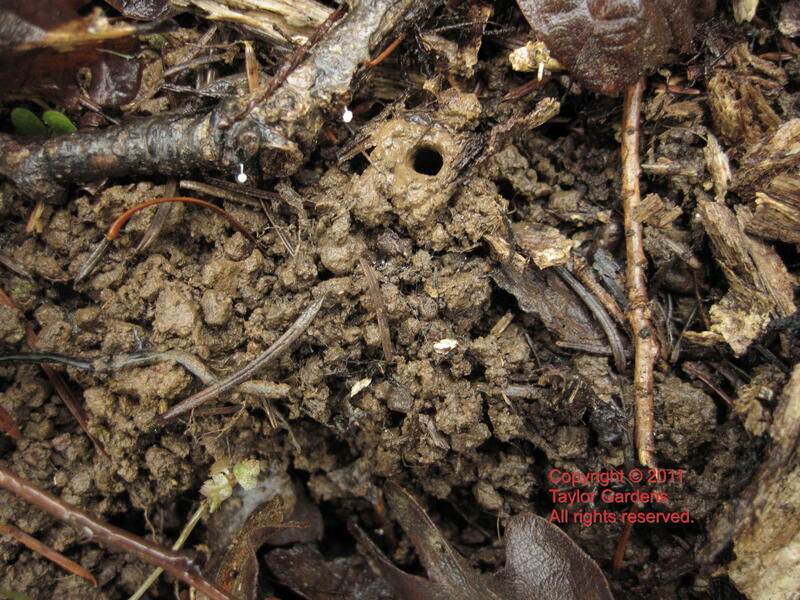 Worm and insect holes are important biopores through which water and air can flow into the soil. Air and water together make up about 50% of the soil volume, and are equally important for root health, so this is an important feature of soil that affects its function. If rainfall encounters a layer of mulch and a network of pores created by soil organisms, the surface is like a sponge instead of a water slide and it soaks into the soil where it is stored. The life in the soil also offers protection to your plants from pathogens and other microorganisms that attack plants, both below ground and above ground. Think of mulch as a layer that gives a whole universe of bugs a place to live – most of them beneficial – that will keep plant-eating pests under control. Mulch can be ornamental or earthy – many materials to choose from depending on the landscape. Birds are big fans of leaf litter mulch. Birds eat pests and give us joy by visiting our landscapes. What do birds eat? Bugs! They need a place to forage and find them, though, and our landscapes that emphasize “clean” cultivation rob the soil of protection, the birds of their insects, the soil organisms of their food, and our plants of their nutrients. The key to understanding what to do with your soil and how to treat it well, is knowing how the system works. Soil science is quite complex, but the main concepts are easy to understand once you see how they fit together. A good book for the basics is a Brooklyn Botanic Garden handbook, Healthy Soils for Sustainable Gardens. Like their other handbooks, it is attractive and concise. Make an appointment with Taylor Gardens and we’ll walk you through checking soil texture (it’s fun!) and obtaining an inexpensive soil analysis. organic matter – add it to your soil!